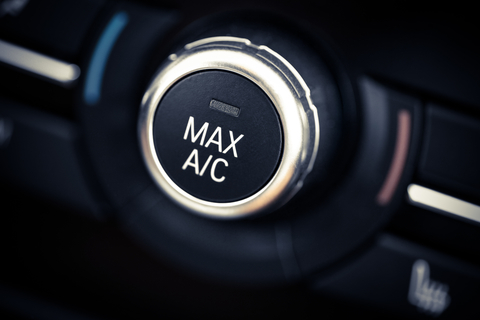 Air conditioning is a luxury in many homes on the Canadian Prairies, but most if not all vehicles sold here are equipped with some degree of climate control. While many get by with the windows rolled down, there are times when a properly functioning AC system is worth its weight in gold. Extreme heat, highway travel, muggy humidity– these are just some of the situations where your vehicle may benefit from working air conditioning. Also, people often overlook AC on a warmer setting to help defog their windshields on rainy or frosty days. Unfortunately, less use means many of us are unaware of what a malfunctioning air conditioning system sounds like. Read on for Park Muffler’s crash course in the common warning signs of faulty AC. All responsible owners should be attentive to the sounds their vehicle makes during normal operation– your air conditioning system is no exception! Throughout the warmer months, test your AC regularly and listen for anything out of place. Squeals, rattles, vibrations and other noises could mean your air conditioning is about to quit. Additionally, make note of the odour when you activate your AC. Anything that smells mildewy, rotten or just plain unpleasant could mean required service… or even something nasty in your ventilation system! Since Canadians tend to use AC very rarely, it can slowly diminish over time without us noticing. When you need the power of proper air conditioning, you may be surprised to learn that your system is only pushing the air around. While a fan works at milder temperatures, real heat and humidity requires the efficient cooling provided by AC to cut through. It may seem obvious that no air conditioning means your vehicle needs service, but many owners put it off until it is too late and more expensive than necessary. If you own a vehicle, you should already be using spot checks and visual inspections to determine if it is leaking any fluids. Oil, transmission fluid, coolant, power steering fluid, brake fluid– and, yes, even the refrigerant used in AC systems can create puddles and stains in, around or under your vehicle. Many of these build up over time and escape notice, so leave a clean sheet of cardboard on your parking spot to catch any fresh leaks. If caught early enough, the fix might be a simple gasket replacement— so bring it in early and avoid a major breakdown or a costly repair. As you can see, the signs that your air conditioning systems is on the fritz are fairly obvious. Still, even the most experienced gearhead or greasemonkey can miss these warnings– our cold climate lulls us into a false sense of security. If you suspect your AC may be in need of service, contact or visit Park Muffler today! If there is a problem, our experts will find it, fix it and get you on your way thanks to our decades of experience.